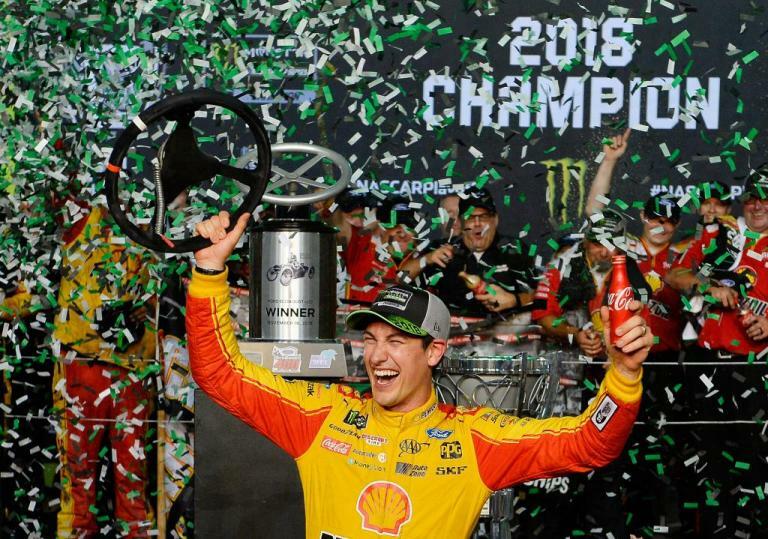 New England's NASCAR Cup Series Champion Joey Logano will be honored with an elegant sit-down dinner at the North East Motor Sports Museum on Friday night, July 19th, the weekend of the Foxwoods 301 at New Hampshire Motor Speedway. The track is the site of Joey's first Cup win; the event is on the 10th anniversary of that win. There will be speeches, stories, laughter and applause. Be there for all of it! See the car Joey drove to his first Cup win. See the trophy he won that day. Both are on display at the museum which will be open for all of the evening's guests to enjoy. Tickets are limited. This event will sell out so order your tickets today. $125 per ticket for non-members, $100 for museum members includes unlimited access to the museum the day of the event, an elegant sit-down dinner and the show. Cash bar will be available. Doors open at 6pm. Net proceeds benefit the North East Motor Sports Museum. Order your tickets by mail. Send payment to the North East Motor Sports Museum, 922 Rt 106, Loudon, NH 03307. For more information or to order by phone call 603-783-0183.